High up in the Hollywood Hills, an Englishman is grappling with his demons. After nearly a decade in Bridlington, David Hockney has moved back to Los Angeles, following the tragic death of his young assistant Dominic Elliott. As his London gallery opens what is reputed to be the last of the iPad drawings in the Arrival of Spring series, Britain’s greatest living painter returns to his spiritual home to paint in a new direction. Having graduated from the Royal College of Art and been instrumental in the early days of British Pop Art, Hockney decamped to LA. It was there that he made many of his seminal works, such as A Bigger Splash (1967) and American Collectors (1968). Those early pictures were replete with the distinctive vibrancy and energy that would become his trademark, the same qualities that enabled him to paint Yorkshire the way he did California but without losing any of its specificity. 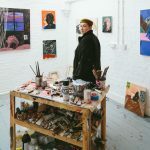 In 2005, when Hockney first announced his return to Yorkshire – his first full time stint since the 1970s – it was hailed as the homecoming of the decade. It was here that he turned his hand to painting the landscape every season, creating the body of work that comprised his celebrated Royal Academy show in 2012. It was mesmerising to see what happens when, finally, you take the Yorkshire boy out of California: the brooding English countryside comes to life in a symphony of colour that both gets to the core of what it is and expresses the artist’s sincere affection for his homeland. But the line between Mulholland Drive and the Yorkshire Wolds is so fine that not even sitting sketching in the car through grim winter after grim winter could take the California out of the boy. But the difference between the young and the old Hockney, the early and the late work, was of course vast. Human figures, once so central to pictures of modern life by an original pop artist, vanished in favour of the sensuous immediacy of nature. The major difference, however, is one that transcends both geography and subject-matter, one that can only be taught by the ravages of age. Despite the urgency of his task to capture the ever-rolling seasons and the universal march nature, Hockney seemed to paint with a transcendent calm; he was less using his brush to capture a moment of exhilaration and more using it to lay down a holistic view of the life-force that drives all those things youth once took for granted. Then one night in March 2013 that calm was shattered, probably for ever. Hockney’s 23 year old assistant, Dominic Elliott, died at Hockney’s studio-home in Bridlington. It was a tragic, senseless loss of a young man and a good companion to the artist, but as the details began to emerge the tragedy deepened immensely, and unnecessary details of Hockney’s private life trickled through. Elliot had been out on a 24-hour drinking binge and had returned high on ecstasy and cocaine. 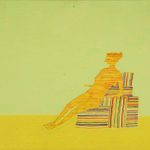 Having dropped out of studying physics at York – due, his mother says, to partying too hard – Elliott joined Hockney’s studio as an assistant, where he gained himself a reputation for his hard drinking and the anger that drink unleashed in him. This was attributed to the death of his father when he was a child and the death, at birth, of his twin sister. Nonetheless, everyone who new Elliott found him a kind, gentle soul, with Hockney himself being especially fond of him and immensely proud of his help on the Royal Academy show. Just one day he took enjoying himself too far and it cost him his life. This simple, yet infinitely tragic, case of misadventure by an excitable young man was marred by the precise circumstances of his death. Hockney’s ex-boyfriend, John Fitzherbert, was the one who took Elliott to the hospital in Scarborough, having been awoken at 4am to find him standing at the end of the bed in his underpants asking to be taken to hospital. He died some time during the 45 minute drive. Earlier that night, Fitzherbert reports, Elliot had become agitated, which ended with him throwing himself off a 10-foot balcony, whereupon he merely dusted himself off and agreed to go indoors with Fitzherbert. 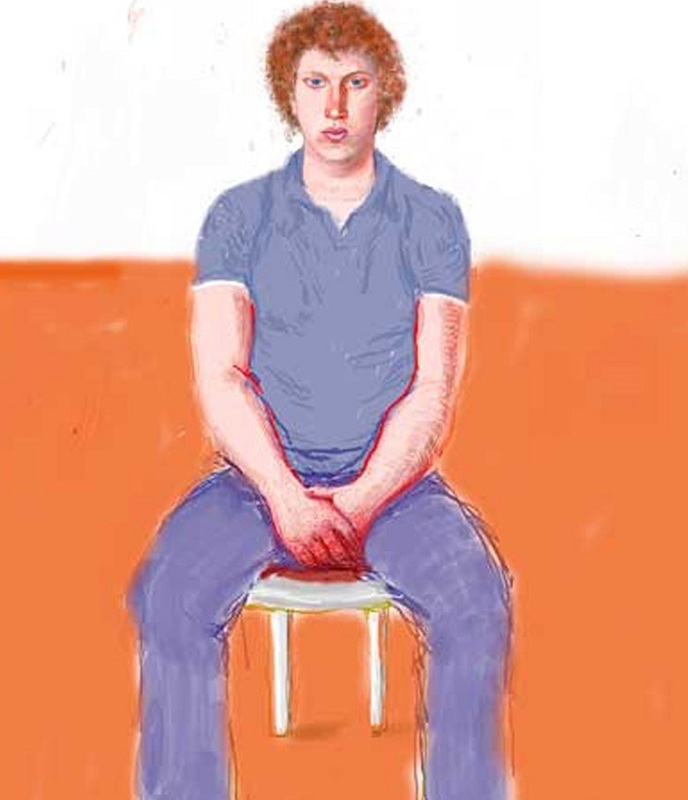 The ex-boyfriend and the assistant were in a relationship together, and had been, according to Hockney, for 4 years. Fitzherbert took Elliott back to bed, where they smoked cannabis, leaving Fitzherbert to fall asleep. An inquest later heard that somewhere between Fitzherbert’s falling asleep and his being woken again to drive to the hospital, Elliott had drank a lethal dose of drain cleaner containing a 95% solution of sulphuric acid. Meanwhile, Hockney was soundly sleeping in his room at the end of the hall, having retired at 9pm after a day of painting, and would only discover what happened when his trusty assistant, JP, told him the next morning. The whole ghastly business left Hockney devastated and completely broken. The death of a young man whom he had both employed and treated as a member of his own family in such horrifying circumstances brought an unshakable cloud over Hockney and, ultimately, over his tenure in Bridlington. 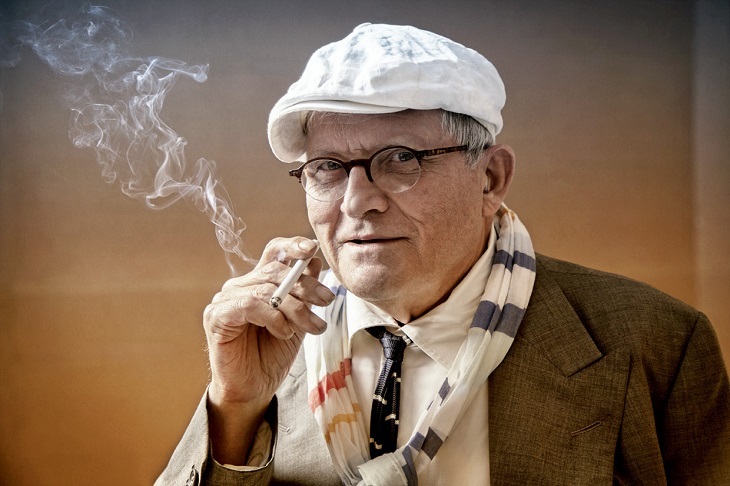 The revelations about the boy’s track record of hard partying and his relationship with Hockney’s ex were not – mercifully, even miraculously – blown into scandal by the press; but nonetheless the unveiling of Hockney’s private life left him deeply unsettled. After being completely paralysed from painting for a year or more, Hockney moved his studio permanently back to LA to see if the Californian sun could rejuvenate his spirits as they had energised him in his youth. Hockney began painting again with a bold acrylic portrait of JP, which he liked so much that he went on to make 50 portraits of different people, all sitting in the studio for three days at a time. This gave rise to a new body of work, a series of ecstatic scenes of people dancing, after Matisse, in his studio. 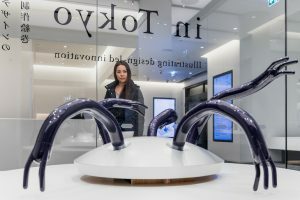 Further portraits of people standing in strange formations would comprise his investigations into perspective that were shown earlier this year at Annely Juda, London. He also followed in the footsteps of Caravaggio and Cezanne by painting portraits of card players, while continuing to make iPad drawings of Yorkshire from memory. Now Hockney is back in full swing, working eight days a week, according to JP, painting all the time since he rarely leaves the house due to his chronic deafness that more or less prevents him from socialising. He doesn’t quite say he’s happy, but he says he’s working hard on new projects and is ‘doing ok’. The extent to which an artist’s biography influences and explains their work always remains an open question to be answered on a strictly case by case basis, but in the case of Hockney, it is inescapable, especially in respect of geography and environment. The wild nature of Yorkshire led him to a zen-like study of the landscape, completely abstracted from humanity, although always living and working in warm company. But the death of Dominic Elliott forced introspection on humanity, or humility, itself, which resulted in a series of pictures with human subjects. It seems that the arid desert sands of California and the simulacrum of reality in LA are the optimum conditions for Hockney to interrogate the depths of the human condition, as he did with abandon early on in his career and as he does now in coming to terms with the death of a young man. Where Yorkshire brought Hockney monumental nature, California brings him fragile humanity. It is reminiscent of Jack Kerouac holed up in his cabin in Big Sur, attempting to come to terms with the enormity of his own myth and how human nature causes it to shatter uncontrollably. Philosophy, Heidegger once said, is homesickness because thinking is the attempt to learn how to dwell, how to just be in the world. And the same thing might be said of art – it is only the attempt to make peace with a brutal world, the attempt to anchor oneself in a constantly shifting space and time. It’s a strange thing to say, but it seems that Britain’s greatest living painter has finally come home to Hollywood, where the sun always shines and where Hockney always paints with abandon. 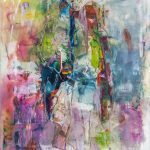 This entry was posted in NEWS and tagged british painting, Daniel Barnes, David Hockney, Los Angeles, Painting, Value and Ideas. Bookmark the permalink.